With the new Climate Law, Sweden has taken a leadership role in climate change mitigation. In a project supported by the Craaford Foundation, Stefan Olin, Mark Brady and I are investigating the possibility to use land management and land use to mitigate climate change. We are combining economic theory and ecosystem modeling in a novel framework where trade-offs among the climate goal and other ecosystem services will be evaluated for their contribution to social welfare. 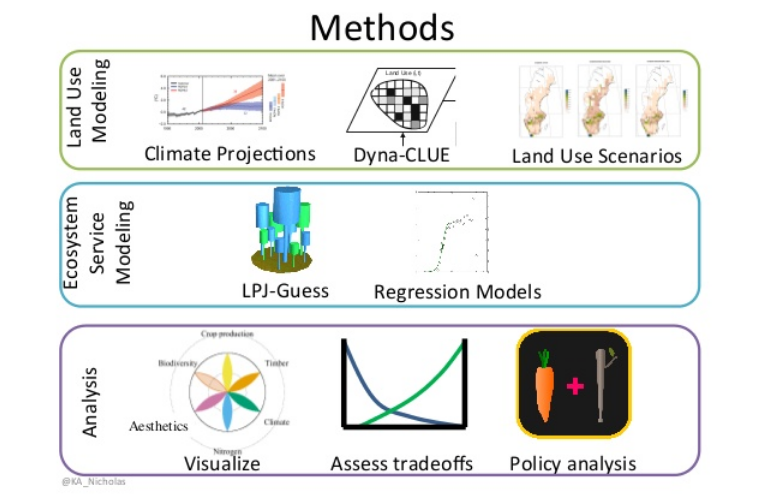 The dynamic ecosystem model LPJ-GUESS is being used to model the effects of land use decisions on: crop yields, timber production, soil carbon sequestration and nitrogen losses (e.g. leaching and nitrous gas emissions), as well as aesthetic landscape value. 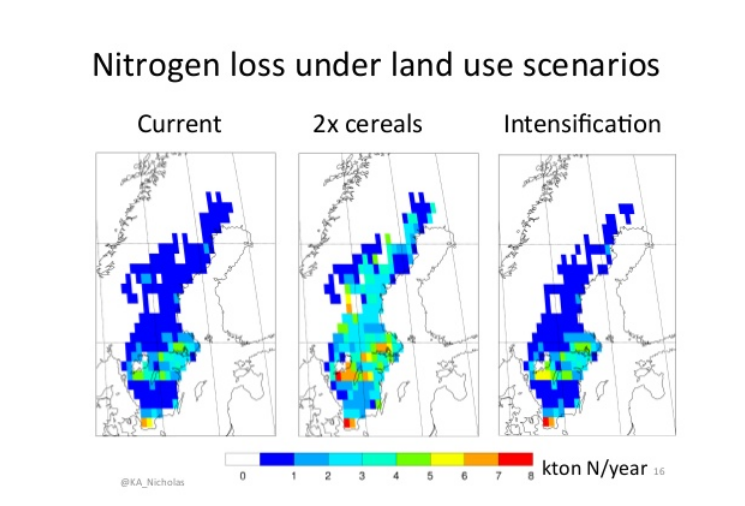 With colleagues from Lund University, I am leading an analysis of tradeoffs for crop and timber yields, land use, carbon sequestration, nitrogen pollution, and aesthetic landscape value for various scenarios of future agriculture in Sweden. Manuscript is in prep; you can see slides from my talk at AGU here.